Home News First Trax Bottom Line — Snow is Falling Everywhere! Bottom Line — Snow is Falling Everywhere! Sorry to keep you waiting. Hopefully with all the snow and great conditions, you'll let it slide. What a great day to get back at it this week. I'm pretty bogged down with other tasks at the moment so I don't have as much time as I'd like to devote to today's article. The top news for the day is that Virginia saw snow! 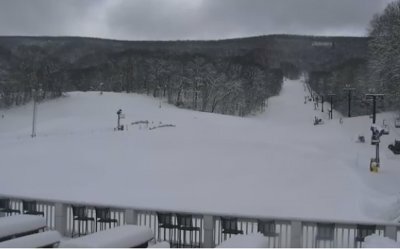 Every other ski resort in the region did too, but the VA ski resorts had a dry spell going and were long overdue for white magic. The Homestead, which looks pretty nice>> extended their season to March 17th. Snowshoe did the same, on account of great conditions and their new record with the Ridiculous Pass Sale. They decided to stay open for everyone's spring break – through March 31st. At Beech, March Madness is underway where weekday pricing is in effect seven days a week! Last but certainly not least, snow is falling everywhere. This season just keeps getting better and better! The only downside is that Liberty Snowflex may not get as many visitors as early on as usual, given that the rest of the resorts are still sporting top-shape slopes. 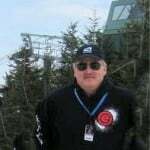 Your days on the snow very well could be at an all-time high, not to mention number of months. Keep on counting! I assure you the length of today's post is in no way reflective of my focus on or excitement about the season! In fact, I've never been more excited. I'm still coming off of a Snowshoe high from this past weekend that I've been dying to share. However, I've been out the past two days because of illness and have several other time-sensitive responsibilities to handle first and foremost. I realize it's later than usual anyway so you may have already written off today's article, but our readers are important to us, so for those who check back, this was for you. Enjoy the cams, and follow us on Twitter to get your fix. Email me at [email protected].